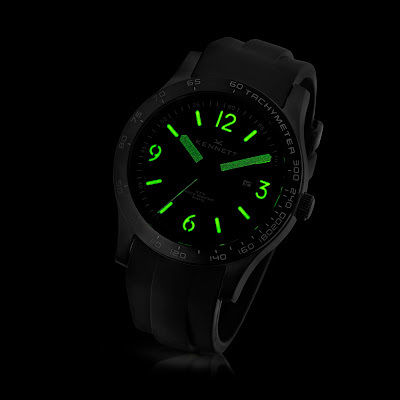 "Available in 8 vibrant colours, The ILLUMIN8 series by KENNETT feature specially manufactured dials and hands which glow green in the dark. 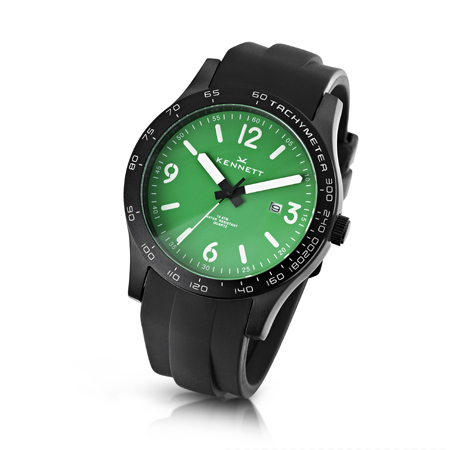 As part of the Altitude series these watches also come with a 2 year Warranty. Part of our Blue Label range, the Altitude watch series is one of our best selling collections. The altitude collection is recognised by its sporty feel, clean aviation inspired design, quality construction and vibrant dial colour options. Driving the watch is a Japanese Miyota movement which is protected under warranty by Kennett for two years. 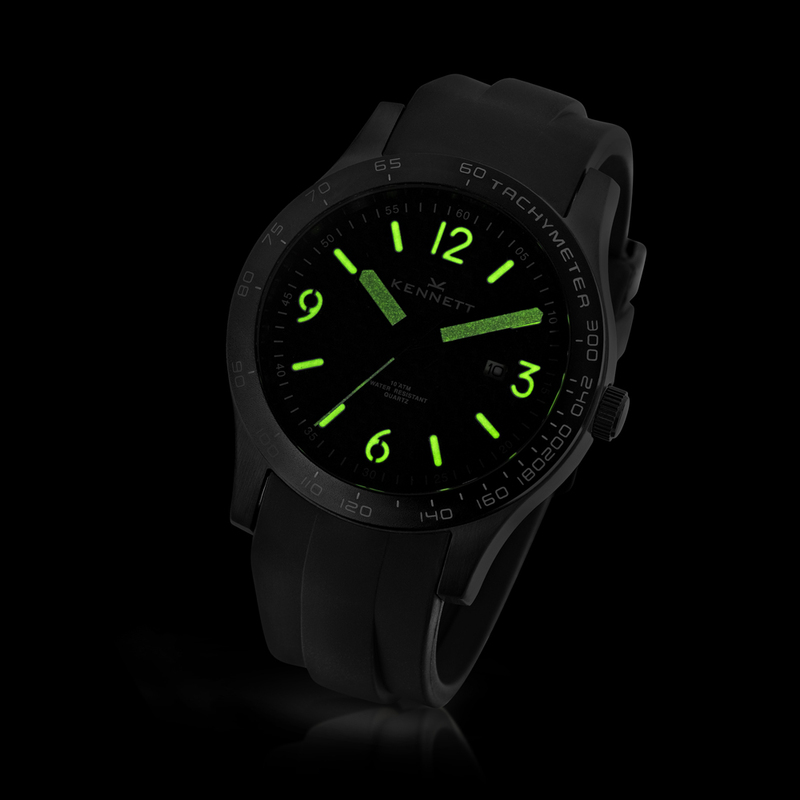 The Altitude series models are all waterproof to 10ATM (100 Metres) and are fitted as standard with a black rubber sports strap. Each watch is packaged in a luxurious Kennett gift box."